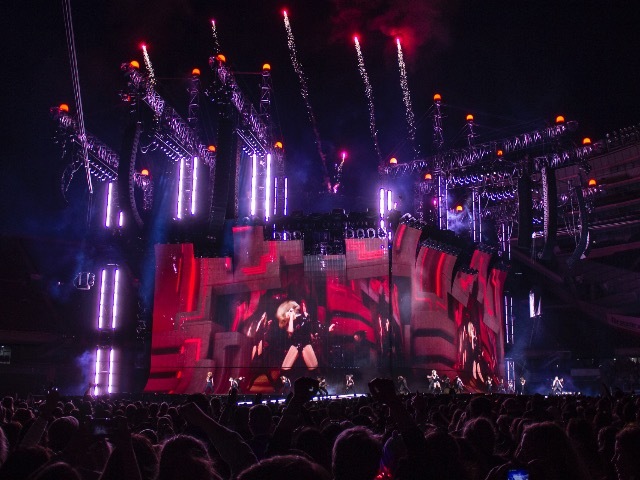 Taylor Swift and friends shook it off Friday night at Chicago&apos;s Soldier Field. Published June 2, 2018 at 8:06 a.m.
Taylor Swift kicked off her two-night stop at Chicago's Soldier Field on Friday night. Just a few dates into her huge "Reputation" stadium tour, Swift and openers Camila Cabello and Charli XCX are bringing a stacked cast of girl power to major stadiums across all of North America. Although Miller Park, Camp Randall and even Lambeau Field didn't make the cut, Swifties throughout Wisconsin surely hit I-94 to see their favorite singer on her biggest and best tour yet. This dedication was not ignored either, as Taylor gave a special shout-out to her Wisconsin fans who made the drive Friday night. 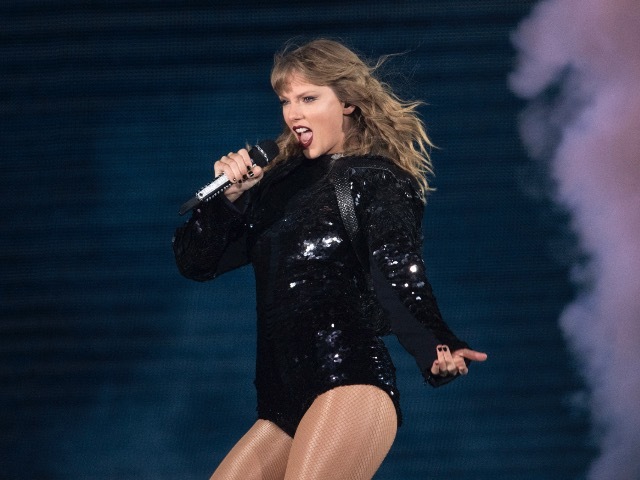 On "Look What You Made Me Do," Swift admittedly is not a fan of Kanye West's "titled stage," but you'll definitely be a fan of all three of her stages for the "Reputation" tour. Even with two large B-stages near the field's south endzone (which are both larger than Swift's main stage on the "1989" world tour), the first thing that will catch your eye as you find your seat is the tour's gigantic main stage, which stands at a whopping 110 feet tall. Swift's main stage also has two lengthy catwalks, and when used together with the B-stages, everyone in the crowd gets to feel like they have one of the best seats in the house. Accompanied by the main stage's huge video boards, you have a clear view of Taylor for the entire night. Moments before Taylor Swift hits the stage, Joan Jett's hit single "Bad Reputation" plays throughout the stadium. This 1981 classic sets the tone for Swift's new album and the tour as a whole. When met with unprecedented backlash and media coverage over her relationships, mistakes and public feuds, Taylor Swift surprised fans with a new "I don't give a damn" confidence on her 2017 LP – and she totally embraces this attitude in her live performance. Even working snakes and a huge inflatable cobra into the tour's production, after internet trolls flooded her social media channels with snake emojis (essentially calling Swift a snake), Swift totally took on the role of the villain – but one we can all root for. Camila Cabello delivered a memorable night at Milwaukee's Riverside Theater this year, so many of her local fans jumped on the opportunity to see her return to the Midwest just a couple months later. 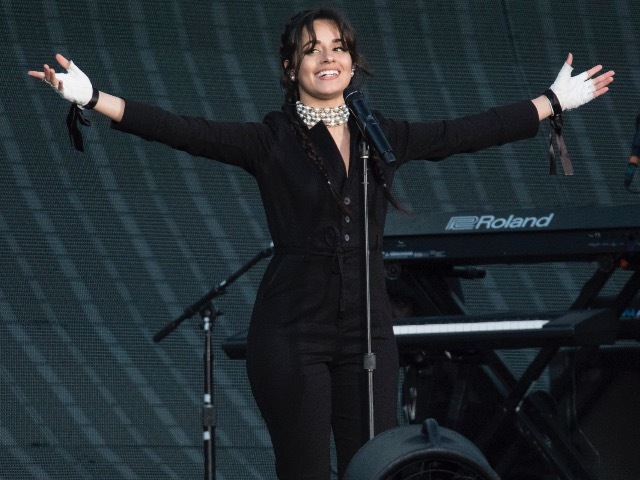 Although Cabello had to cut down her setlist for the "Reputation" tour, the highlights of her headlining show traveled to Soldier Field with her and her crew. The former Fifth Harmony singer blessed fans with tracks like "Never Be The Same," "Bad Things" and, of course, her mega-single "Havana." Taylor Swift and Ticketmaster teamed up to fight ticket scalpers in their quest to buy tickets at face value and resell them for huge markups. Although not without controversy, by launching a Verified Fan program and installing a more accurate market-based ticket pricing structure, Swift was able to keep the majority of ticket scalpers at bay. At the expense of not instantly selling out shows weeks in advance, Swift is on track to have one of the highest grossing tours of all time and fans can buy their tickets from the source and not a scalper on Craigslist. If you (like the rest of the internet) watched Taylor Swift's highly anticipated video for "Look What You Made Me Do," you know that the old Taylor can't come to the phone right now. Why? Because she's dead. Don't worry though, the old Taylor left her huge catalog of hit records to the new Taylor in her will, so fans at the "Reputation" tour not only get to hear Swift's new album (practically in its entirety) but the Grammy-winning singer performed more tracks from her previous albums than on any of her tours before. Whether your favorite Taylor Swift album is "Reputation," "Red" or "1989," Swift performs a bit of everything during her two-hour set. Swift surrounds herself with some amazing producers, and as a result, "Reputation" has some great songs with a lot of production. While the production is top notch, it's equally enjoyable when Taylor strips things down and goes acoustic. While the dancers catch their breath, Taylor Swift performs a couple songs on her guitar, turning a huge production into an intimate performance. There are a lot of things that help make the "Reputation" tour so great. Not only does your ticket get you a free concert from openers Charli XCX and Camila Cabello, but two additional perks are a free light-up bracelet and a free fireworks display. You probably won't wear your bracelet a week from now, but the LED bracelet lights up to the beat of the music, literally making everyone in attendance a part of the production. While this new tour is very different from Swift's "1989" tour, the return of the light-up bracelets was a pleasant surprise. Plus, since Lake Michigan is known for its fireworks from Milwaukee to Chicago, it was only right that Swift put on a display from start to finish. Although we'd love to see Taylor Swift pay a visit to the new Bucks arena, you shouldn't expect that to happen anytime soon. A forthcoming appearance at Summerfest in the next few years is also an unlikely scenario, and you can definitely rule out a Taylor Swift concert at The Rave. The sad truth is that Taylor Swift might just be a little too big for the Milwaukee market. 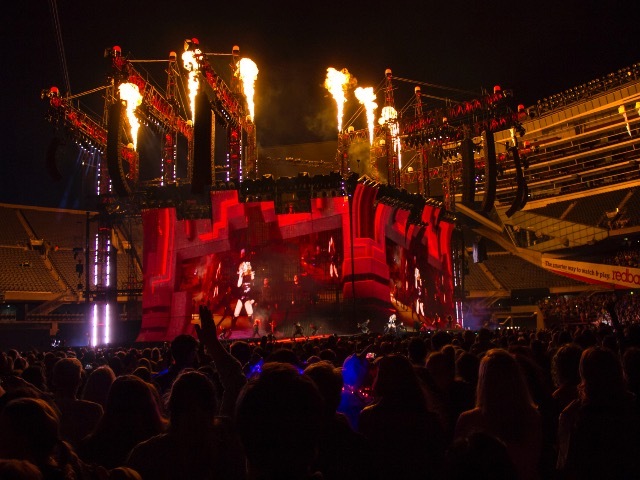 Swift's tour is exclusively for stadiums at the moment, and although a show at Miller Park wouldn't be the most unlikely thing in the world, even Miller Park houses substantially fewer fans than a football stadium like Soldier Field. So don't wait for Taylor Swift to come to you; jump on the opportunity and make the short drive to the Windy City. Taylor Swift's "1989" tour made headlines on a weekly basis with its huge list of special guests. Unfortunately the nightly guests aren't a staple for the "Reputation" tour, but two very good friends join Swift for a special performance of "Shake It Off" every night. If you couldn't guess who, the tour's opening acts, Camila Cabello and Charli XCX, do one last curtain call for the tens of thousands of fans as they sing and dance to Swift's addictive 2014 single. It's hard to understand how Taylor Swift continues to surpass her past tours, but she pull its off. The "Reputation" stadium tour isn't just literally Swift's biggest tour yet, but it's her best tour yet. Her execution of each song and dance routine is near perfect, the two-hour setlist is carefully crafted, her dancers are beyond impressive and everyone who works behind the scenes has exceptional attention to detail. Pop concerts so frequently follow a cookie cutter format, making it hard for a single show to stand out. While Swift's new tour shares a lot of the things that make a successful pop show, she manages to take things several steps further. Whether your Taylor Swift's biggest fan or "Blank Space" is your guilty pleasure, the "Reputation" tour should be on everyone's summer bucket list. Was she singing...or lip syncing?